It is essential to restore diminishing levels of collagen in the skin. Collagen accounts for a quarter of the protein in our body and is the component responsible for smooth and elastic skin. This serum will help add to the appearance of your skin and reduce the visibility of fine lines and wrinkles. Apply two times every day to cleansed skin. Use together with 24K Collagen & Seaweed Mask for best results. 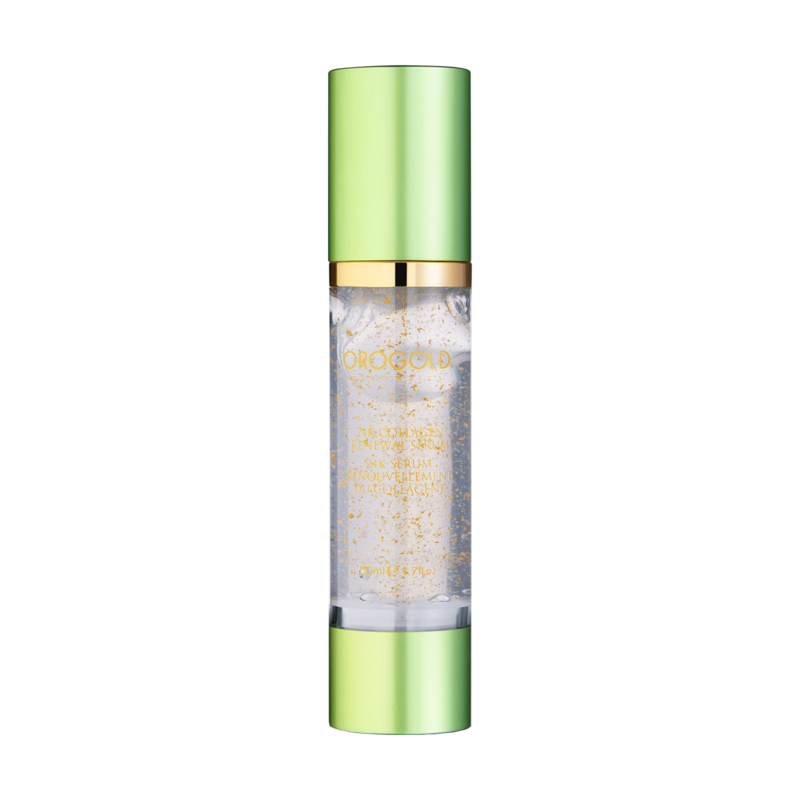 The 24K Collagen Renewal Serum helps to restore skin's youthful radiance. This serum's humectant and collagen-boosting ingredients like Beta-Glucan, Sodium Hyaluronate, and peptides improve the appearance of volume and firmness while reducing the visibility of find lines. Enhance your anti-aging efforts daily with this gentle gel.